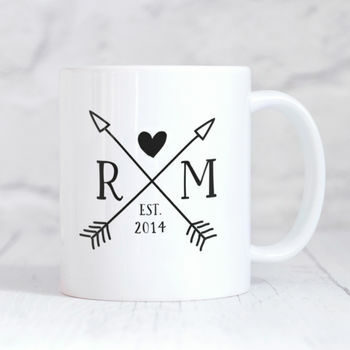 Gorgeous personalised ceramic couples initials monogram mug. When you want to show your partner how much you love them, this gorgeous mug is the perfect reminder. 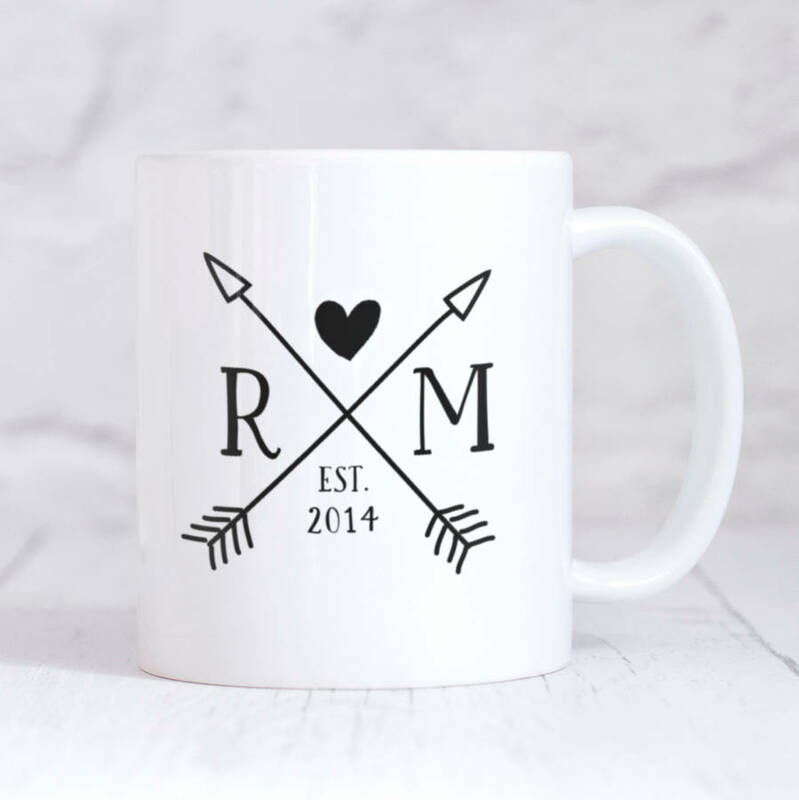 This personalised couples mongram mug is the perfect for weddings and engagements. This mug can be personalised with the initials and year of your choice.